I’m very pleased to announce that The Beloit Inn, has accepted me as their Artist in Residence during the Edge of the Rock Plein Air Painting Event June 5 – 15th in Beloit Wisconsin. 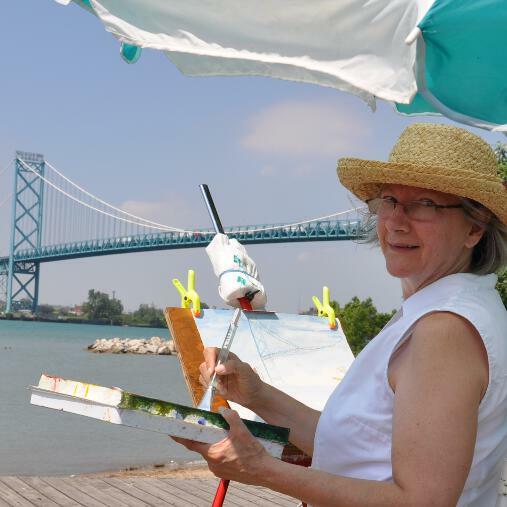 I wish to thank Nicki Meyer Executive Director of Friends Of River Front plein air festival for this great honour and wonderful opportunity. I also with to thank Nicholas Johnson, General Manager of The Beloit Inn for his generosity. WillisteadSpring2013, a photo by photographerpainterprintmaker on Flickr. YES! Spring has sprung, and I’m out doors with our group again. What a beautiful day it was on Monday. We had six members of our group out painting and sketching today. We love to start off on the Willistead Manor Grounds in Windsor. 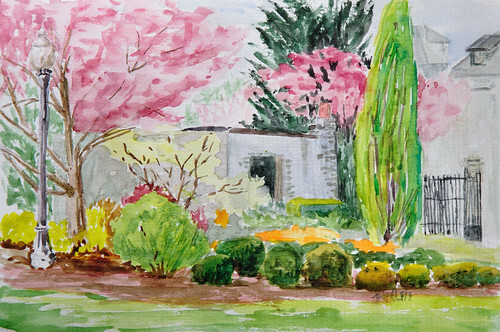 Williestead Manor is in the heart of Walkerville, and hosts many events, most notably the annual Art in the Park event. PS: This painting was gifted to Sandy Kincade, the Director of the Edge of the Rock Plein Air Painting event. She and her husband Chuck were such a blessing to me. 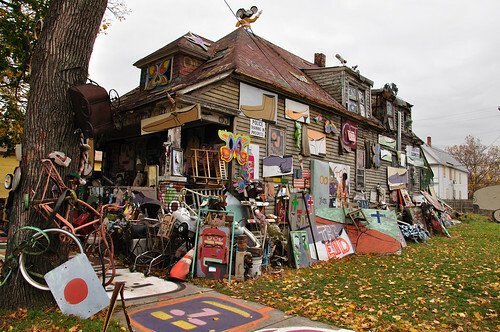 Obstruction of Justice House – Heidleburg Project Detroit, a photo by photographerpainterprintmaker on Flickr. One of the most interesting houses at the Heidleburg Project burned down early this morning, Friday May 3rd, 2013. Authorities say the fire started around 3:30 am. Neighbors called in to report the blase. I visited the project last fall when I attended a gallery crawl that toured many galleries in the greater Detroit area. If you have Facebook you can view a video about the project here.